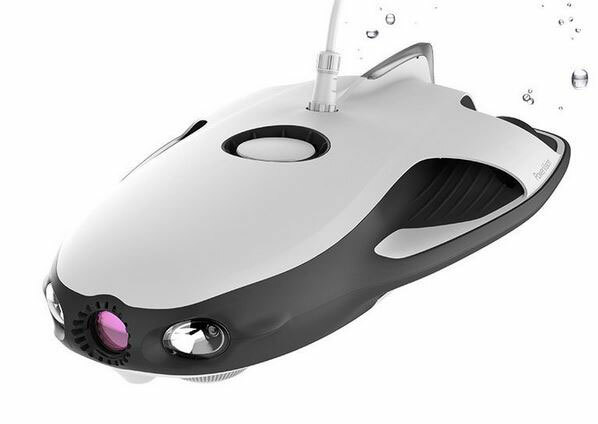 Meet the PowerRay Wizard: an underwater robot with a 4K UHD camera that lets you capture all the action in any body of water. Its camera shoots 12MP still photos too. You get a base station with a 164ft long waterproof tether. The battery lasts up to 4 hours. The robot comes with an app that lets you view real-time photos and videos. You can use Zeiss VR goggles to get a more immersive experience. The vehicle has adjustable LED lights too.